The Melancholy of Reading Haruhi Suzumiya – Everything is Oll Korrect! Much like my experience with moe my interest in the Haruhi Suzumiya franchise has suddenly waned to the point that I just don’t much care about it anymore, despite enjoying the series, both the anime versions and Tanigawa Nagaru’s original novel series, for the first time since I first encountered it in my college anime club six years ago. Part of this may stem from my general fatigue with high school settings in anime and its related media, but since I still enjoy several other ongoing series with such settings, that doesn’t seem to be the reason. Neither does the possibility that even after seven novels, two television seasons, and one film, I’ve just burned out. After all, I’m still following Oh, My Goddess!, which is far longer and less interesting, especially in recent volumes. I just finished The Intrigues of Haruhi Suzumiya, the seventh novel, and it wasn’t any better or worse than previous volumes. So, these two are, at most, minor factors. Maybe, then, Haruhi just isn’t very good? It is a light novel, which I understand to be comparable to what we North Americans call “young adult fiction,” so there’s not a lot of complexity here. Each character, for example, generally has just one or two defining traits that form the basis of each story arc’s narrative and jokes. Kyon is our sardonic narrator, Asahina the gorgeous and mostly helpless time-traveler, Nagato the silent bookworm and alien, and so on. The narratives, too, though they do often have enough twists and turns to stay interesting, never require much thought on the reader’s part, as everything tends to be explained thoroughly by the end. Even if it’s not great literature, though, Haruhi certainly isn’t bad, either. I haven’t read many light novels, but it’s probably better than any young adult novel I’ve read. 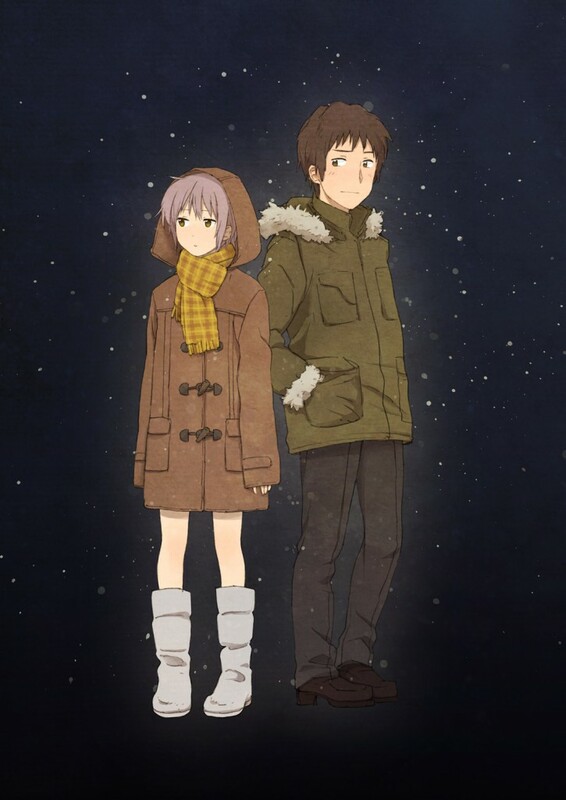 Tanigawa’s writing, at least in Paul Starr’s translation, is clear enough, and Kyon’s narration is the highlight of the series, often funny, subjective enough to give it a lot of personality but objective enough to give a coherent picture of each story’s events. The plot, though again nothing world-changing, does have enough twists to remain interesting, and generally it’s well-constructed. Also, to be fair, the characters are at least memorable, and despite what I said above aren’t quite one-dimensional. Nagato, for example, has shown a hint of personality in recent volumes. Haruhi herself, though generally just self-centred and hyper, also has her sympathetic side, as we learn in the first volume that her boredom with normal society stems from a fear of being just an insignificant part of a large world; only one person out of seven billion. The overriding questions of the series are, which is preferable – a peaceful, “normal” life, or something chaotic and adventurous? If you could change the world to fit what you think is more ideal, would you? So, it would appear that the problem I have here is simply that Haruhi isn’t good enough. It’s entertaining and competently constructed, but not excellent, not quite a classic. There’s nothing wrong with simply being entertaining, of course; I’ll continue to read and enjoy the Haruhi novels, as well as any future anime adaptations. However, I feel I’ve come to a point where I want to balance a demand for sophistication and excellence on one hand, and still enjoying simpler pleasures on the other.